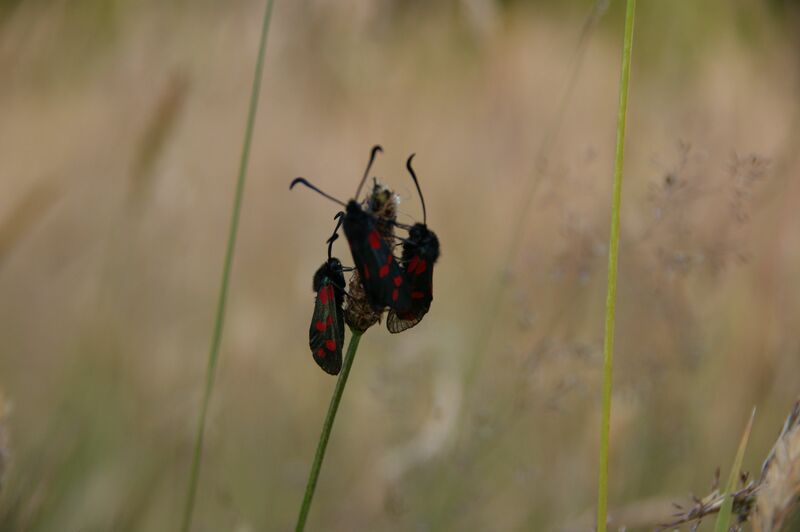 As the year unfolds we will try and build a record of what can be found on the common. If anybody has any nice pictures that they would like to add – please let us know. Let’s start with ‘enemy’ no. 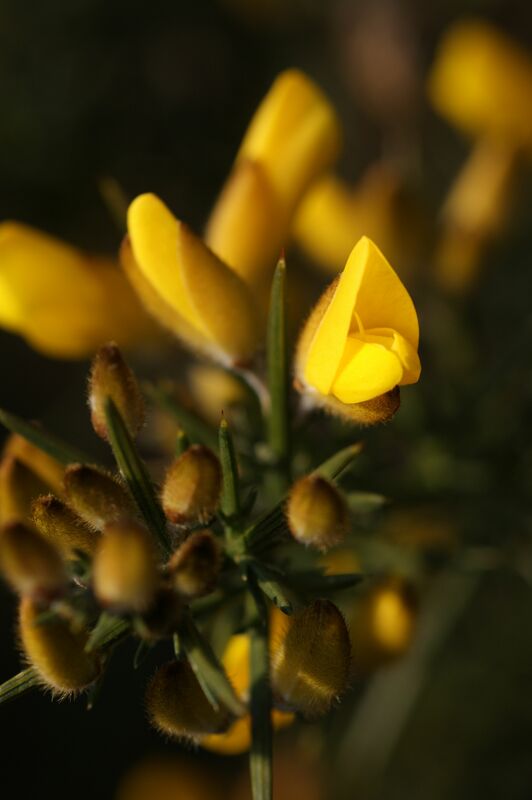 1 – Gorse (Ulex europaeus). We all love it – especially when it burns and oh does it burn! It’s not all bad – according to the RSPB compact gorse is ideal for a range of nesting heathland, downland and farmland birds, including the Dartford warbler, stonechat, linnet and yellowhammer. The dense structure also provides important refuge for these birds in harsh weather, and is essential for the survival of Dartford warblers in winter. 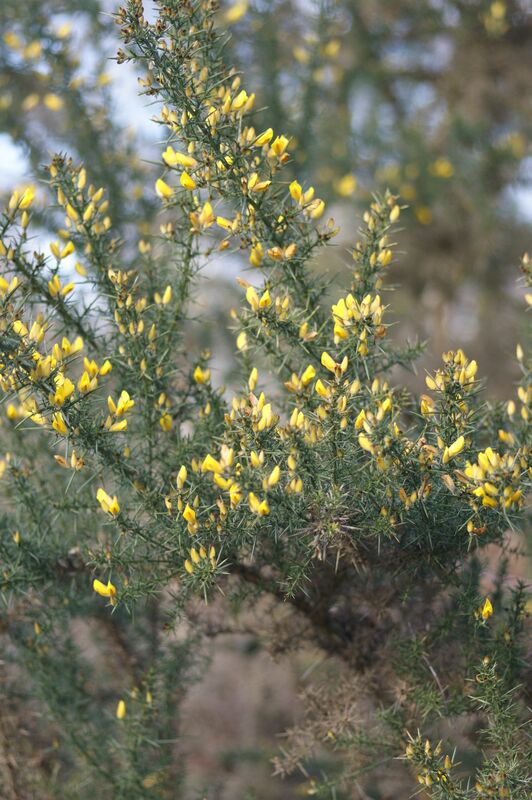 Gorse is important for invertebrates; it is in flower for long periods, so is an important nectar source in early spring and early winter, when little else is in flower. A number of scarce invertebrates are dependent on it. So management is beneficial even for Gorse. 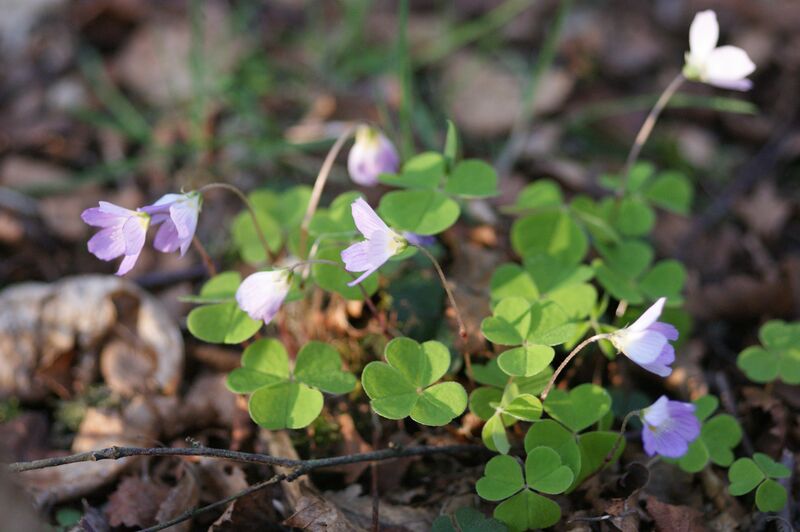 It has pretty pea like flowers in winter and early spring and is a really cheering sight after a long winter. On a warm still day you may notice the smell of coconut from the many flowers. As soon as possible I will add pictures of the Dwarf Gorse that can also be found on the Commons. 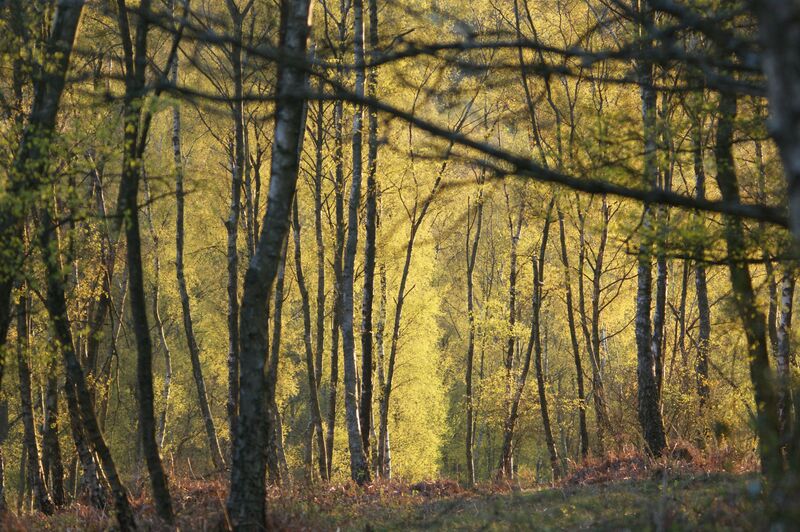 Birches – both Silver Birch (Betula pendula) and Downy Birch (Betula pubescens) are ever present at the commons and require endless clearing and control. 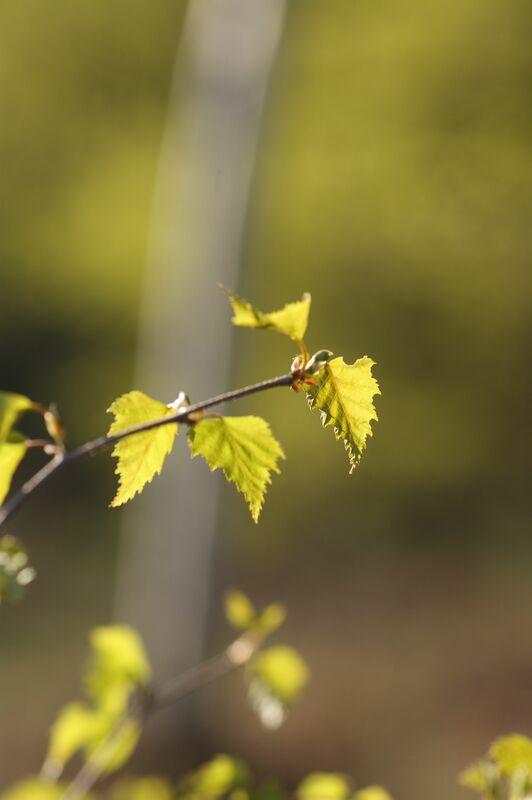 To spot the difference between the two look for the smoother bark and softly hairy twigs on the Downy Birch. Birches are a pioneer species that grows particularly fast when young so no wonder they keep us busy clearing them in the areas where we want to encourage the heather. But they are of course important habitat for many insects and thus in turn birds. We (well Mark mostly) use a lot of the cleared wood for anything from bean and pea sticks, besom broom making, wood turning, charcoal making and firewood. And doesn’t it look lovely in the right light? 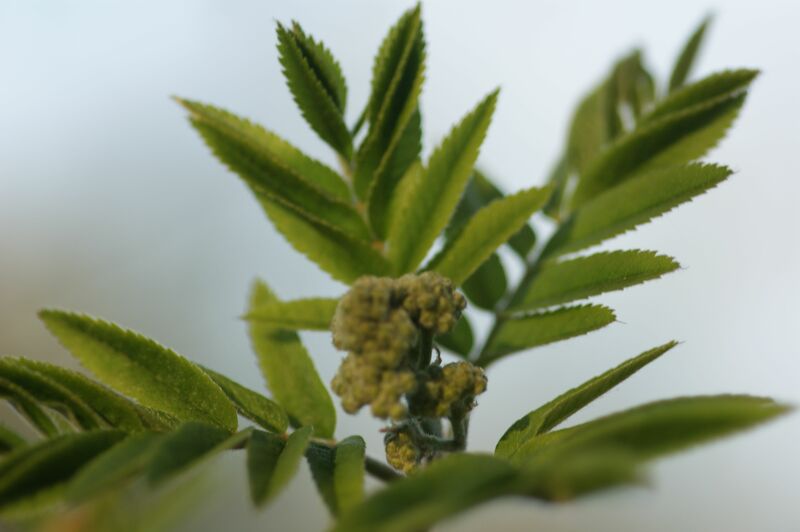 Another much rarer tree is the Rowan (Sorbus aucuparia) – this tree has a long association with witchcraft – it used to be planted near houses and churches to ward of witches. 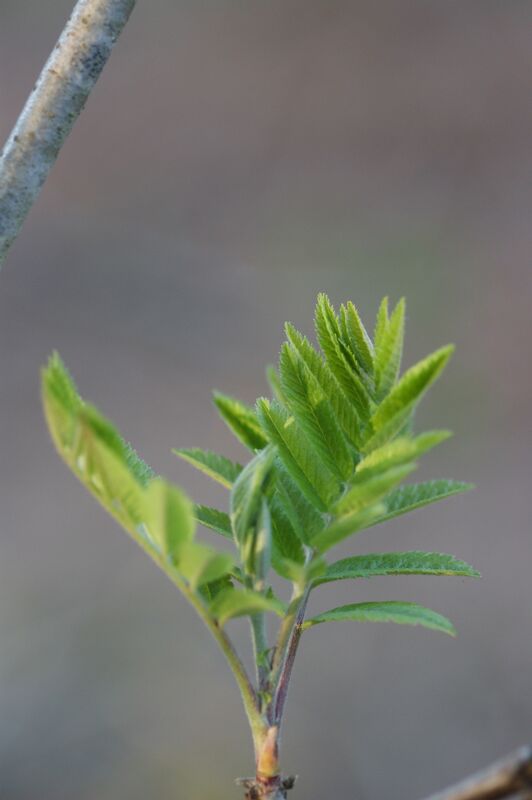 This might also be the reason why in some places it is still considered unlucky to fell a rowan. The berries colour in August and the leaves put on a vibrant display in autumn – one of our more colourful trees. 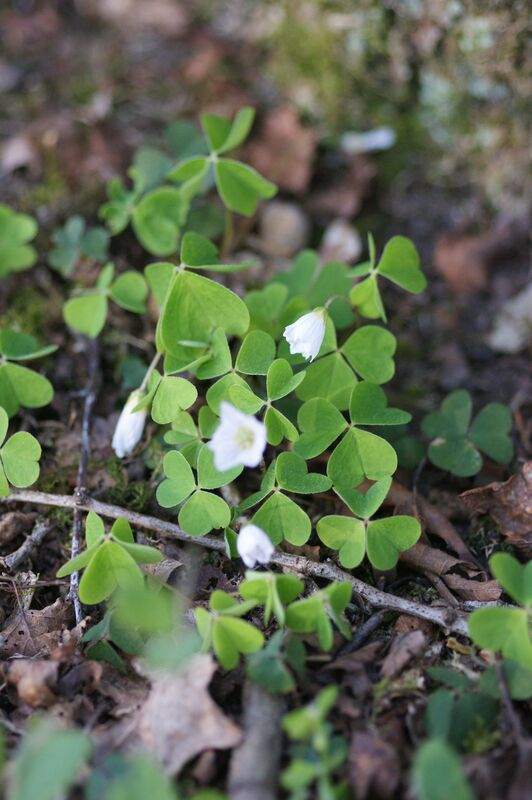 Wood Sorrel (Oxalis acetosella) – at first glance looks like a patch of clover but really quite different – especially of course the flowers. It is very shade tolerant. 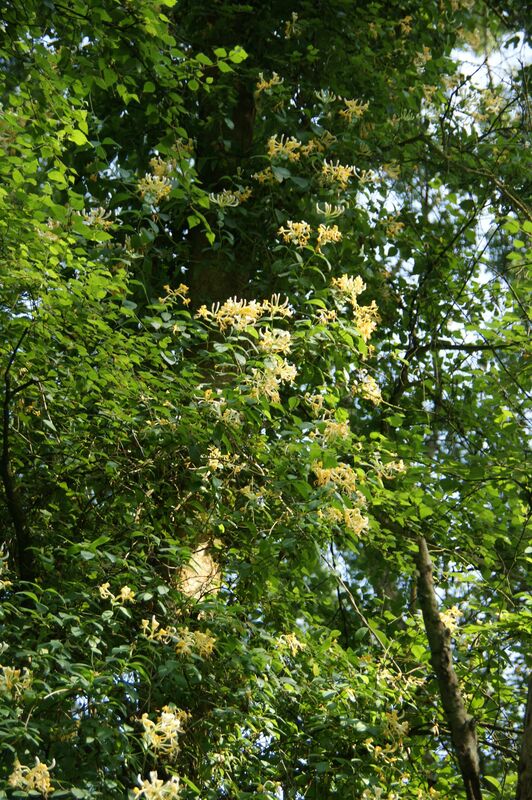 Leaves and flowers close during the night. 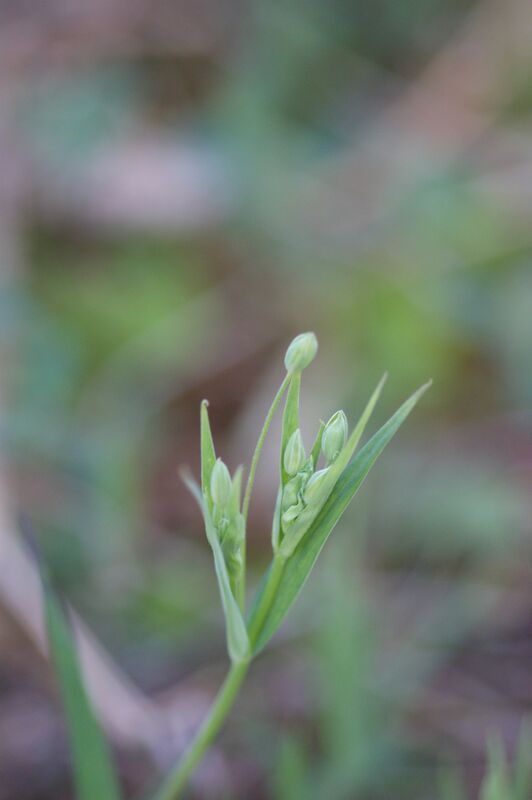 This photo was taken in the evening and shows the plant beginning to fold up. Must go back during the day! 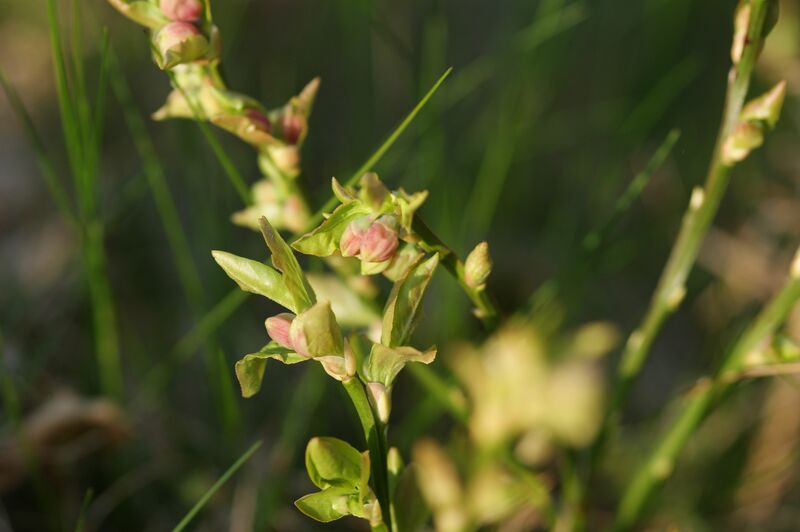 Bilberry (Vaccinium myrtillis) – our native blueberry starting to flower. Much smaller both in habit and size of fruit than the commercially available (american) blueberries. 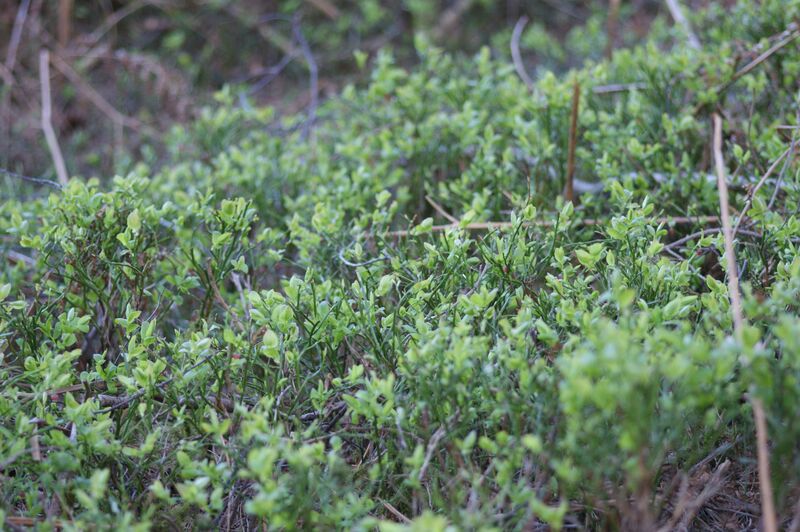 This dwarf shrub is just a mass of green sticks in the winter but in spring pale green leaves and greenish red flowers appear. Will take more pictures when fruiting. 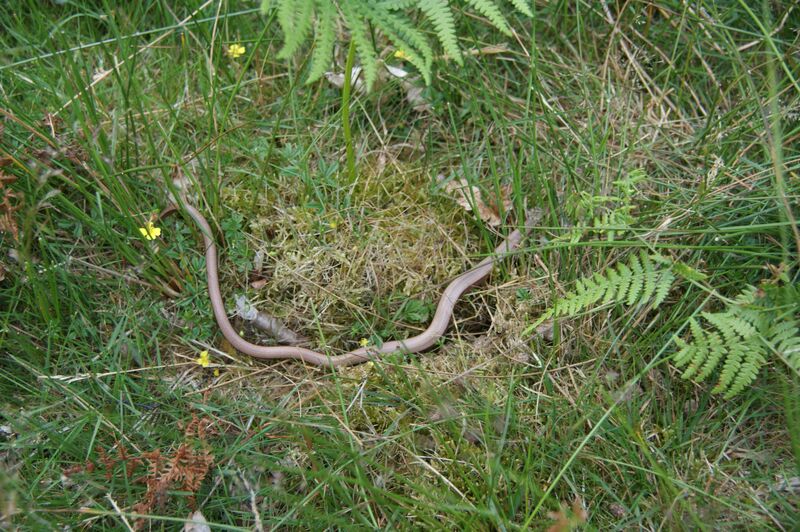 It likes the acid soils of our wooded heathland. 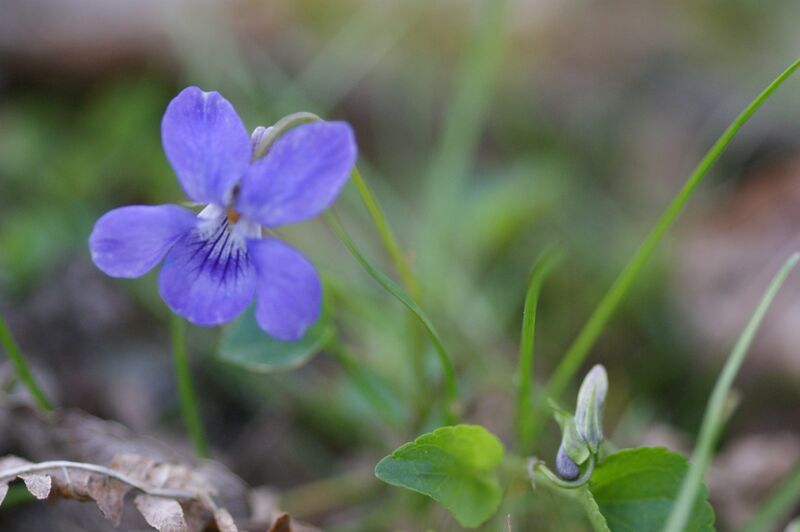 Dog Violets (Viola reichenbachiana or canina?) – I am not clever enough to tell which ones but I know people out there who are. 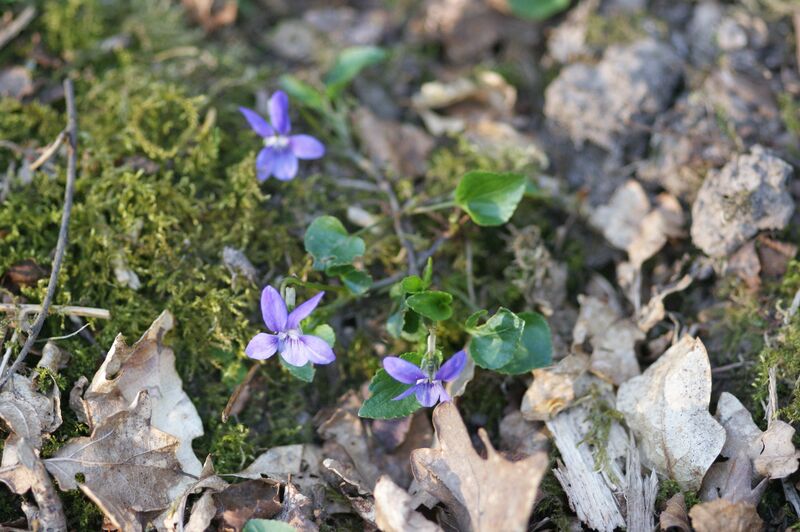 Not the beautiful smelling sweet violets but a cheery sight nevertheless. 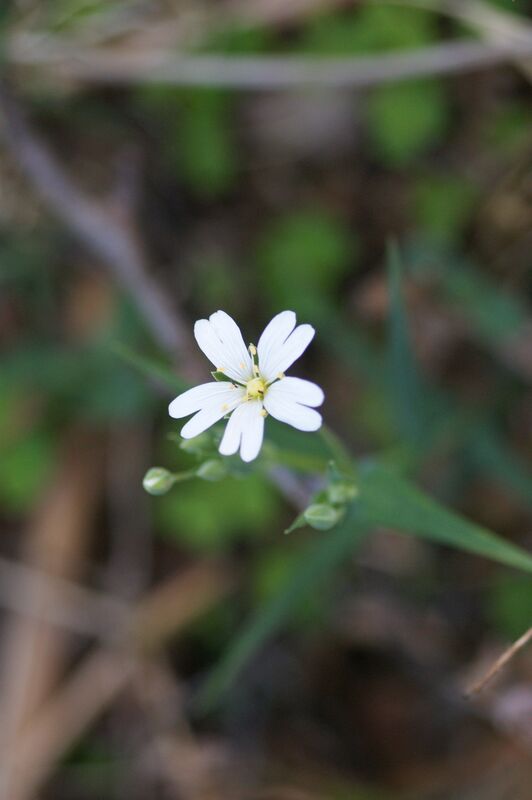 Hiding in the newly sprouting grass Greater Stitchwort (Stellaria holostea) is easily mistaken for grass until its seedlike little buds burst into white flowers of five deeply divided petals. 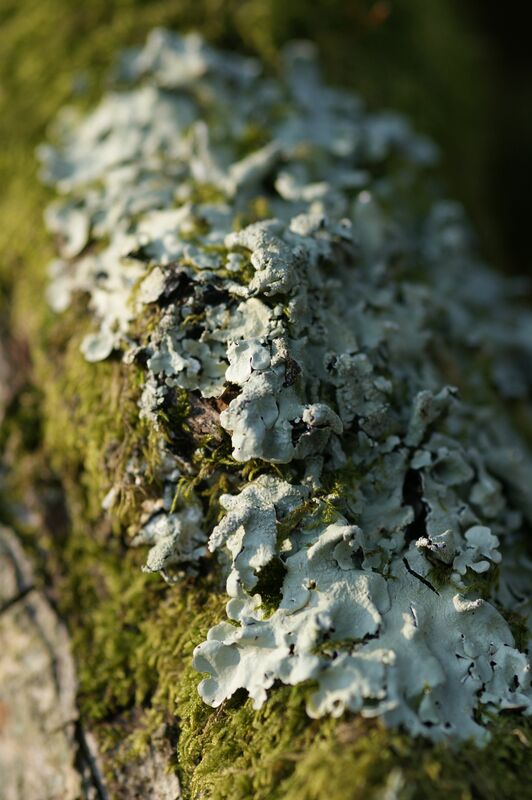 Lichen – possibly Physcia species – on oak bark. Lichens are an indicator of good air quality. 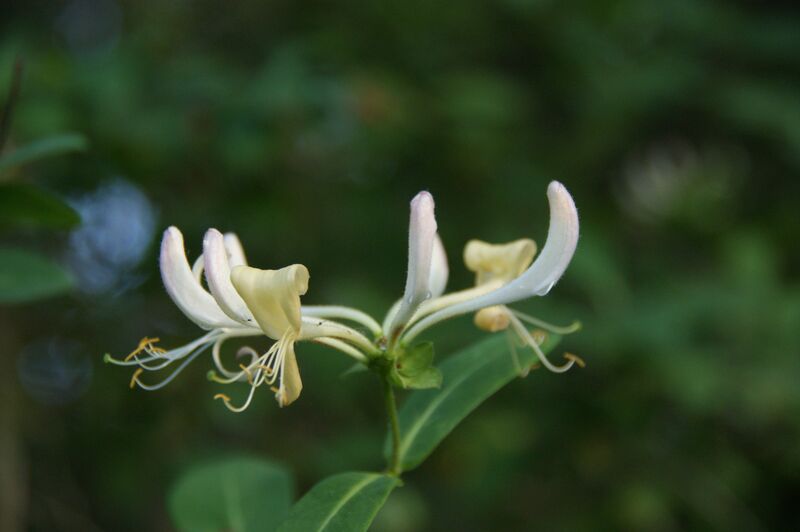 Honeysuckle (Lonicera periclymenum) also known as woodbine is busy climbing up and all over the place and is beautifully scented especially in the evenings. 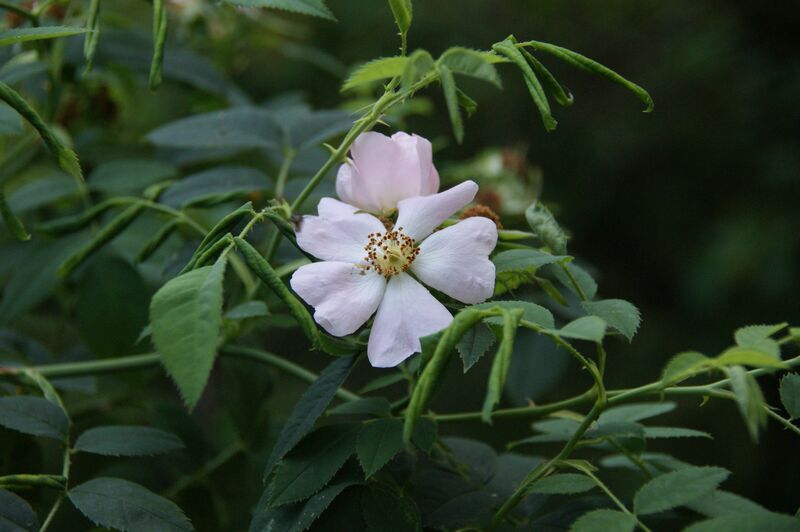 It flowers from June to September and flowers are pollinated by either moths or long tongued bees. The berries are red. 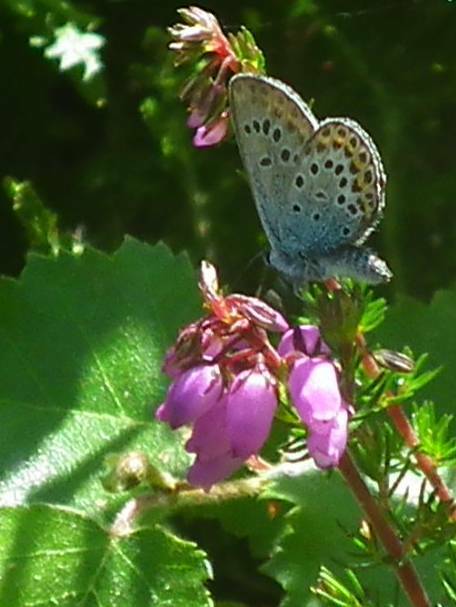 Spotted on the Little Common – a colony of Silver-Studded Blues (Plebeius argus) – as it should be sitting pretty on some heather flowers – sadly a bit shy about opening their wings. This small butterfly is found mainly in heathland where the silvery-blue wings of the males provide a marvellous sight as they fly low over the heather. The females are brown and far less conspicuous but, like the male, have distinct metallic spots on the hindwing. In late afternoon the adults often congregate to roost on sheltered bushes or grass tussocks. The Silver-studded Blue has a restricted distribution but occurs in large numbers in suitable heathland and coastal habitats. 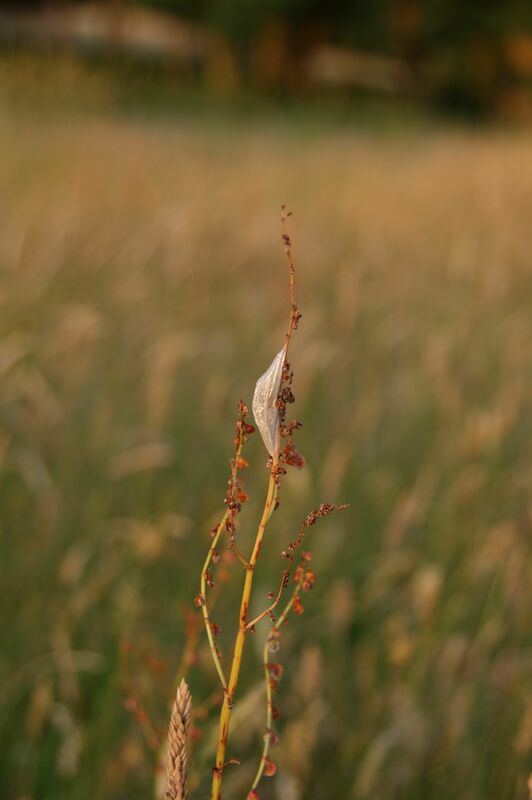 A cocoon on a sorrel – ready to hatch. A lovely slow worm (Anguis fragilis) most likely a female.